Can existing patients follow their doctor to the new practice? personal relationships with the women in our practice and their families. It would be our privilege to continue your care by joining our new practice. What do I need to do to join your new practice? Please request your medical records from your current provider. And just call for an appointment! Christiana Care is a major teaching hospital with two campuses and more than 250 Medical-Dental residents and fellows. Christiana Care is recognized as a regional center for excellence in cardiology, cancer and women’s health services. The system is home to Delaware’s only Level I trauma center, the only center of its kind between Philadelphia and Baltimore. Christiana Care also features a Level III neonatal intensive care unit, the only delivering hospital in the state to offer this level of care for newborns. Obstetrical care is provided at Christiana Care Hospital in Newark, DE. We accept most commercial insurances. Please call for more details regarding coverage of your specific plan. We also encourage that you call YOUR insurance carrier and ensure we are in your network for coverage. You may want to ask your representative for a reference/confirmation number. 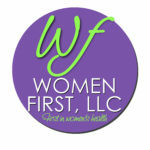 WLW has a structured program for self pay patients. We will continue to be Medicare providers. Why did you leave Greenville OB/GYN? We have had a dream to open our own private practice since early in our careers. Although, we have enjoyed growing in the CCHS community, we feel this is the next step towards providing the best patient care while making our own personal footprint in Delaware. We will continue to work closely with CCHS to provide the same level of comprehensive care. Yes! We love delivering babies. WLW is dedicated to caring for women throughout their lifespan. Do you do obstetrical surgery? Yes. Both Dr. Apel and Dr. Smith are trained to do obstetrical procedures including vaginal delivery and cesarean sections as indicated. We offer external cephalic version in the hospital for breech presentation. We support vaginal birth after cesarean (VBAC) in well informed patients with history of either one or two previous cesarean sections. We can treat miscarriage and ectopic pregnancy surgically or medically after we evaluate your risks and benefits. What Gynecologic surgeries do you offer? Dr. Apel and Smith perform a variety ominor gynecologic procedures including diagnostic hysteroscopy; operative hysteroscopic myomectomy (removal of fibroids) and polypectomy (removal of endometrial polyps); Minerva Endometrial Ablation; LEEP and cold knife cone procedures of the cervix, dilation and curettage or D&C, hymenectomy, and labioplasty. We also perform laparoscopic evaluation of pain or abnormalities; laparoscopic treatment of endometriosis, ovarian cysts, adhesions, and tubal pregnancy; laparoscopic tubal ligation or salpingectomy (removal of fallopian tubes). We also perform hysterectomies and strive to complete all procedures through minimally invasive techniques. Dr. Apel and Smith are well trained in vaginal hysterectomy, laparoscopic assisted vaginal hysterectomy (LAVH), and laparoscopic hysterectomies. Dr. Apel is trained and credentialed in the Da Vinci Robotic surgery but is not currently offering this service. We also perform hysterectomy with an abdominal or open incision if you are not a candidate for one of these more minimally invasive procedures. Do you do procedures in your office? We do endometrial biopsies and colposcopic evaluations of the cervix at our office. We prefer to do hysteroscopy and endometrial ablations at the hospital or surgicenter at this time. All providers are certified and skilled at Mirena, Kyleena, Liletta, or Paragard IUD placement. We are Nexplanon certified for insertion and removal. What procedures do you refer to others? We refer our patients who desire bladder suspension or have pelvic organ prolapse to the Center for Urogynecology and Pelvic Surgery at Christiana. We refer patients who have masses which are suspicious for cancer to a gynecologic oncologist: Christiana Gynecologic Oncology, Dr. Charles Whitney, or to Penn Medicine and the Abramson Cancer Center. We refer patients with infertility or complex reproductive endocrinologic problems several local experts including: The Reproductive Associates of Delaware (RAD), Delaware Institute for Reproductive Medicine (DIRM), Shady Grove Fertility, and Mainline Infertility. Will you manage my problems without surgery? We will almost always offer at least one non-surgical option to your gynecologic problem. Do you have an ultrasound machine? We offer both obstetrical and gynecologic ultrasound within our office on Tuesdays, Wednesdays, and Fridays. If we can not find a convenient time in our office, we will refer you to a trust facility within the community. Will you be my primary care provider? We prefer for you to have a separate primary care provider. Who is in your call group? We share hospital call coverage with a larger network of Midwives and Doctors from First State Women’s Care, Maternity and Gynecology, The Christiana Center for Women’s Wellness, Maternity and Women’s Health: Felix Vergara, Dr. Picazo, and Brandywine OB/GYN: Dr. Cooksey.